When you think of CrossFit pretty much the last thing you would associate with it, would be Strongman. Personally I don’t think the 2 mesh well, while they are not exactly polar opposites they are not complimentary of each other at all. Earlier this year I heard about a World Class Strongman doing Cross Fit, I expected to lumbering beast clumsily throwing themselves about like the proverbial bull in a china shop. I was tagged in a post on facebook and discovered it were none other than Mark Felix, yeah the 50 year old Blackburn based Plasterer. Yeah 50 years old, dudes clearly found the fountain of youth, along with Odd Haugen they are proving Arnies “Old but not Obsolete” is a solid point. He’s looking spectacular for an old man of 50. 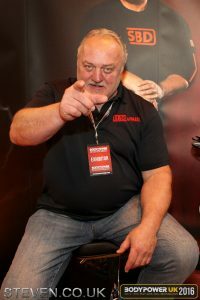 A little later in the year I ran into Kaz (Bill Kazmaier) and got a quick 5 to 10 minute interview with him. After a little fanboi action, where I was telling him I enjoy his commentary and the colour he adds as a man who were there in the early days, competed with the legends of my childhood and broken records himself (deadlift world record holder at 400kg). 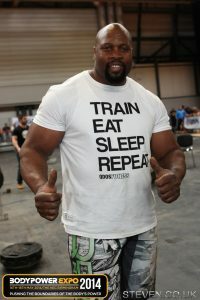 Once I were finished :P, I mentioned that a month of so earlier I’d heard of this CrossFitting Strongman and that I had found it were Mark Felix. Kaz seemed equally surprised that a strongman, yet alone Mark Felix were doing it. I suggested it would be interesting to see if the speed and explosive power Mark would gain would come at a cost, the cost being Strength. He were a little non-committal but I did kinda put him on the spot. The mini-interview were published elsewhere so I can’t put too much about it here. Not longer afterwards, a few Days I think. I ran into Mark Felix, I only got a few minutes to talk to him due to other commitments I had. He seemed confident that CrossFit can sit alongside Strongman and it would not have a negative effect on Worlds Strongest Man in just a few months time. 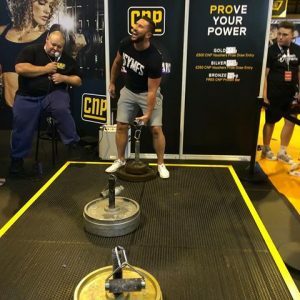 What I did get to witness were his phenomenal grip in action, CNP along with Glenn “The Daddy” Ross were doing a Grip Challenge, it were basically a pinch grip using a rotating bar handle which were thicker than a can of coke. Only 1-2 people had lifted the heaviest plate which I believe were 90kg. Lots of people were hooking the bar to get the 50kg-75kg up, but Mark did it in true pinch form. Brutal!. I also noticed compared to 2012, and 2014 (above) where lost alot of mass, in 2016 he seemed to have toned up a lot, the power shelf (stomach) near enough completely gone, he were looking good. I didn’t get a picture of him doing it, but I borrowed this picture of Wayne Worthington who I spoke to about the challenge at the time. I think the weights were 50-75-75kg, not many made it past the 50kg. I’ve just watched his group on the Worlds Strongest Man 2o16 and you can see its clearly reduced his raw power and overall mass. Sure he were faster than most others, his endurance were crazy especially on the Hercules hold, I think he could have easily taken the world record had he been aware he were just 11 seconds away. I say “just” 11 seconds like it doesn’t seem much but 11 seconds may as well be 11 days under these circumstances. I’d say when legend like Mark with best part of a year of CrossFit under his belt… erm kilt produces one of his weakest shows, I say weakest as he still performed well just lacking maximum power. I do think if he goes back to maximum effort and keeps the crossfit ticking he’ll get some major speed like the Polish Speedster Mateusz Kielszkowski. Its time to concede that CrossFit and their methods are good for toning up, gaining speed and weight loss but I’d say this almost proves that CrossFit doesn’t make for a Strongman looking for maximum power. Not to mention almost everyone I know who does more than casual crossfit has major injuries and broken bones. What I did notice were a little interview with Martins Licis where he said he were a farmer and saw WSM going farming moves, and thought he could do that, hes a farmer. He reminded me of Mark Westaby who were a strongman in the late 2000s, his trademark were crushing apples and basically walked out of the farm in to the arena. Along with Konstantin Janashia, Mateusz Kielszkowski and Martins Licis we have some big talent coming through from 2016. I’m looking forward to watching all these of them, even knowing they didn’t win, the final is up later. 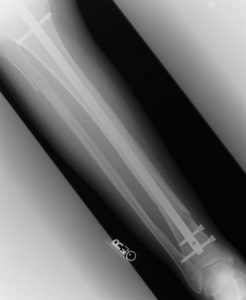 X-Ray Image Courtesy of Tsu Nimh.